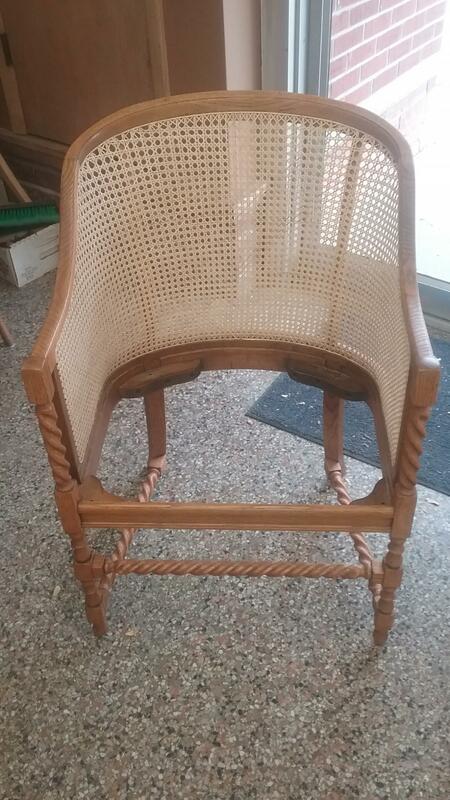 Knotty Seats is a page that you can review for what type of woven seat you may have. 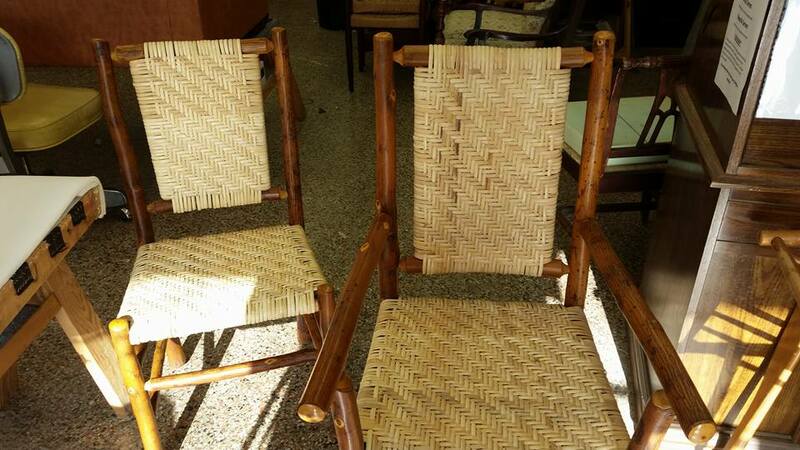 The photos here will show you examples of different types of Seat Weaving that have been done in our shop. 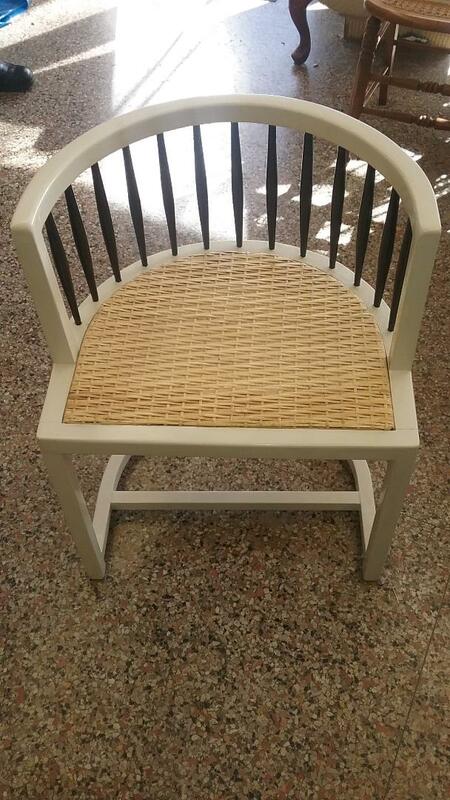 1st photo is a Teak chair with a Danish cord seat. 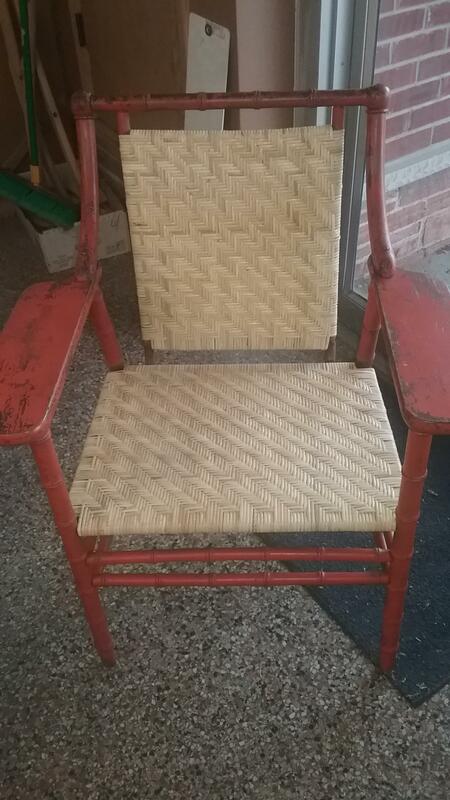 2nd photo is of a wrought iron chair with a Wicker seat. 3rd photo is a rush seat. This is a Kraft seat with an amber shellac finish. 5th photo is Pressed cane on a small bench. 6th photo is an awesome find. 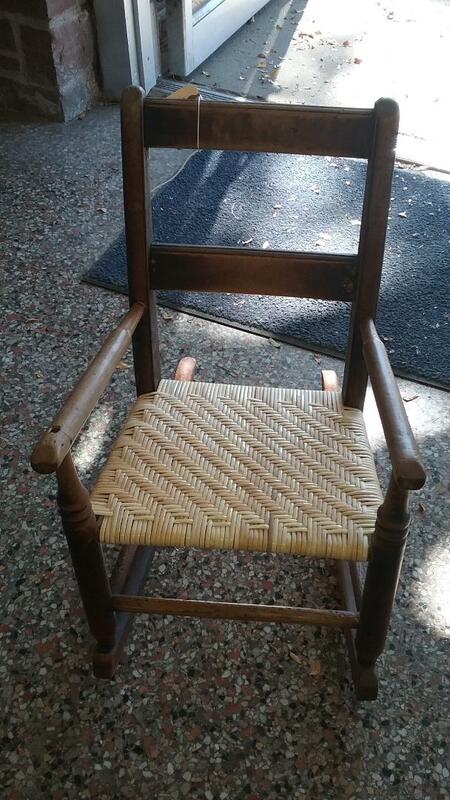 This little windsor style chair was being thrown away because the seat was missing. Looks beautiful after the new seat! 7th photo These two wrought iron chairs are binding cane that is woven into a 7 step cane pattern. There were no holes in the frame to pass the cane so spacing was somewhat of a challenge. They did turn out nice and the customer was happy and that's what counts! 8th photo: Ash Splint seat. 10 and on are finished works of art! Don't forget that if you need a new seat on an old chair, please call we can help. Supplies and sometimes even abondoned furinture is available for purchase. If you have a project that you want to try your hand at, remember, our informaiton is always free and sometimes even instruction if you bring your project (or pictures) into the shop. We are always happy to help.